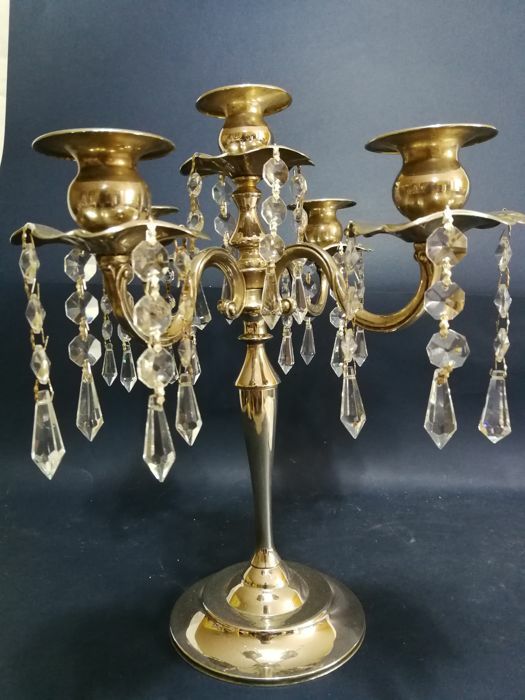 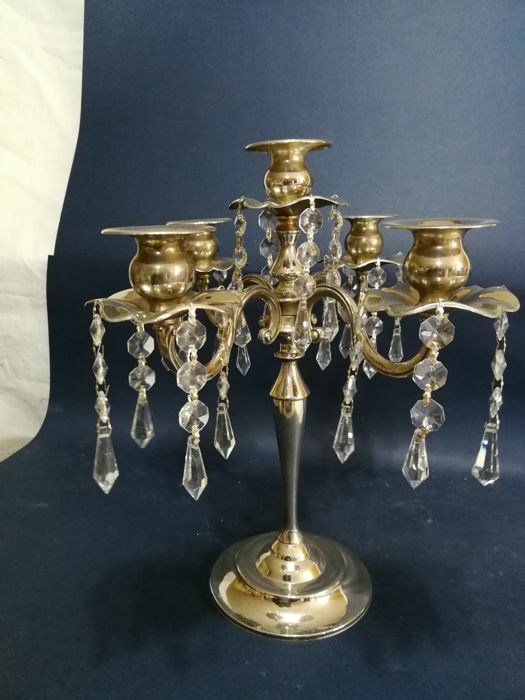 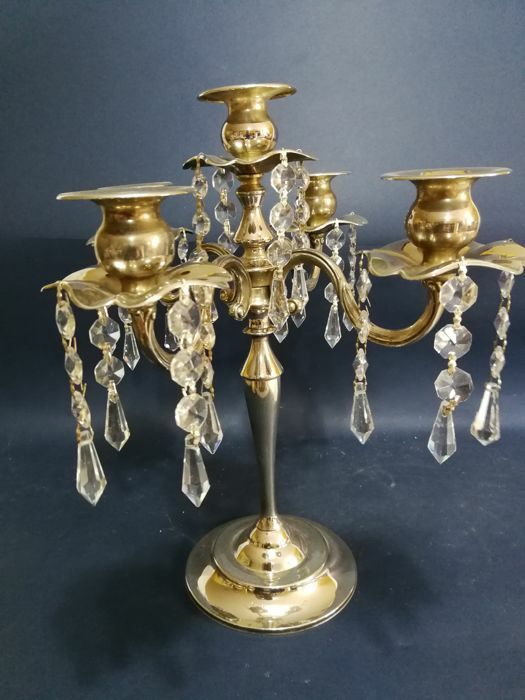 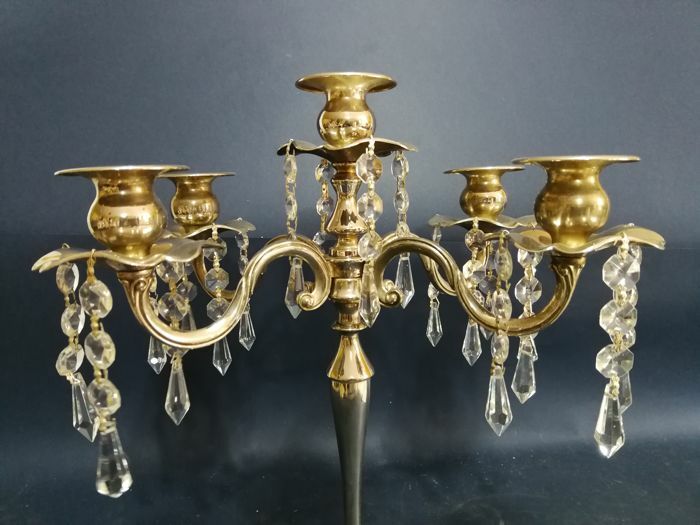 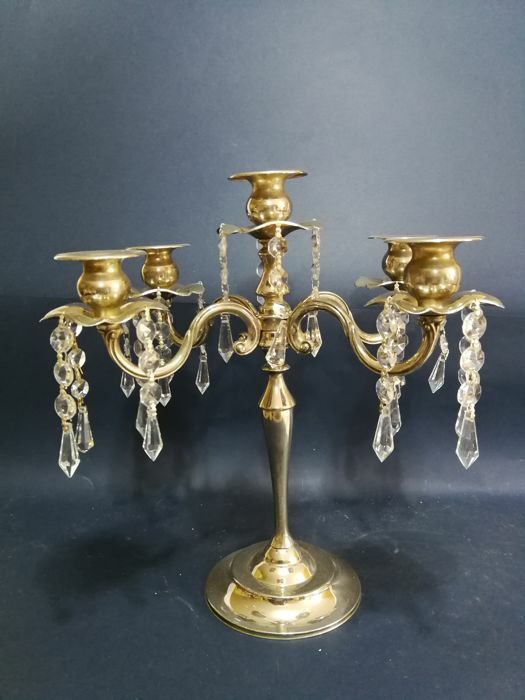 Lot 73 - Silver Plated large sized 4-arm candelabra with glass pendants. 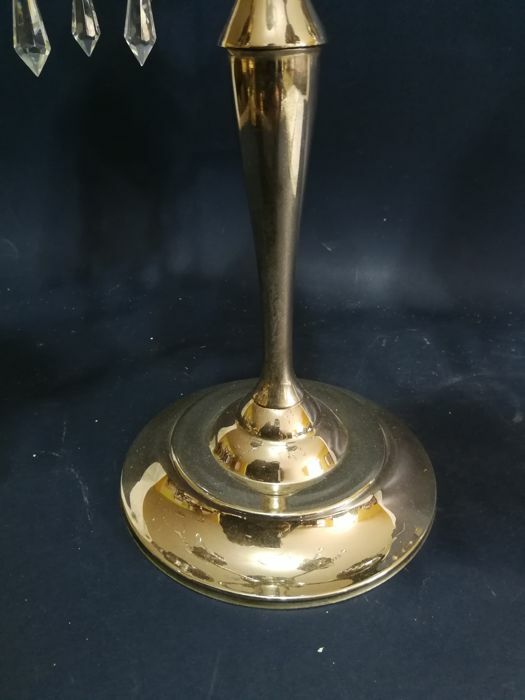 Made in England, in the 1930s. 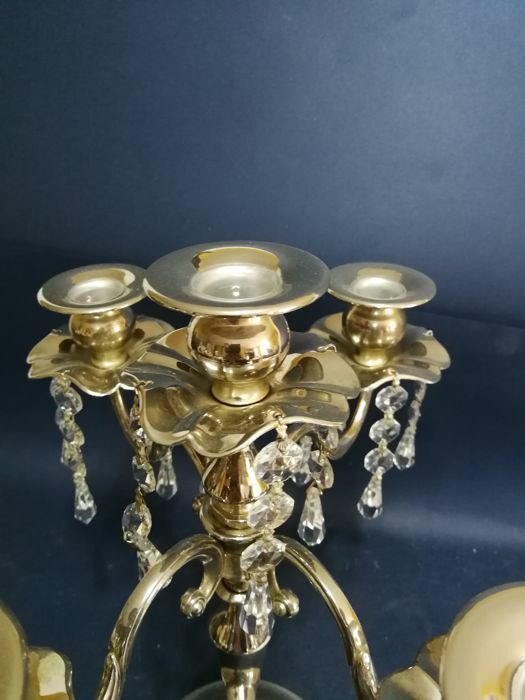 Dimensions: 35 x 30 cm; base 14 cm. 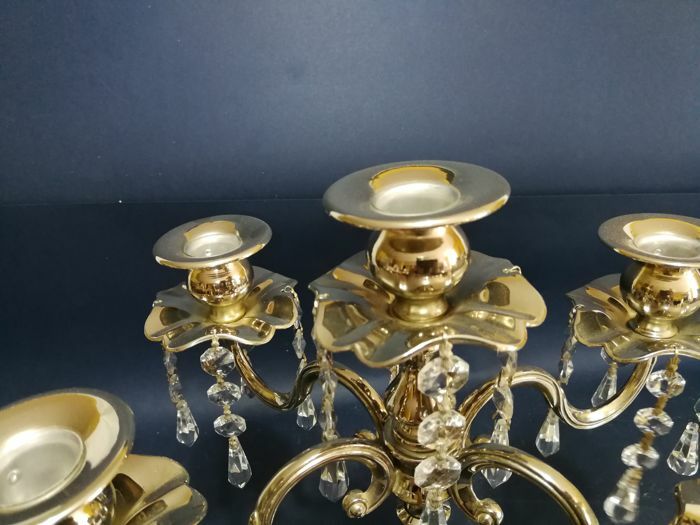 Plating is in good condition, with no signs of wear.